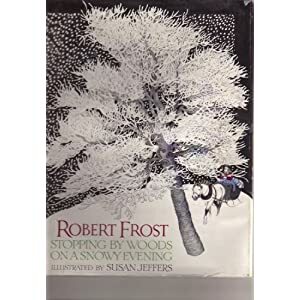 For our homeschool co-op the other day we read Robert Frost's classic poem, Stopping by Woods on a Snowy Evening. For our activity we did these watercolor resist paintings using masking tape. I found the tutorial on Art Projects for Kids' site and added a cardinal (scanned from the book). The kids painted him red and glued him in one of the trees. It was a pretty involved painting for preschoolers (probably better suited to older children), but the results are really striking. Great post i am so impressed here. can you re-link to tutorial? It's not there. That's one of my favorite Christmas books from my childhood. I get so excited when I pull it out for my girlies at the beginning of winter!